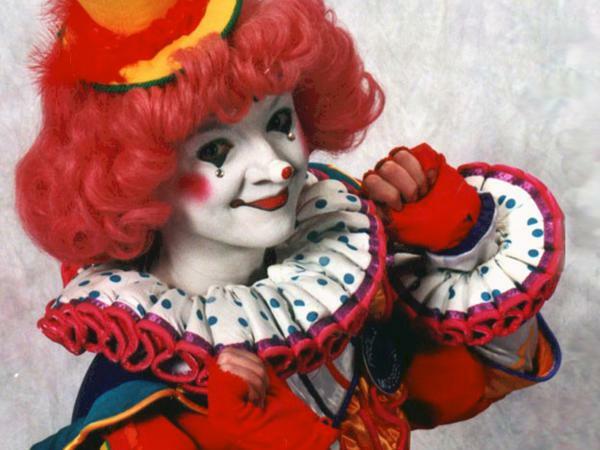 Pricilla Mooseburger, one of the characters created by Tricia Manuel, a veteran clown who's seen her industry hurt by menacing depictions in popular culture. They were, once upon a time, a fixture in circus tents and at birthday parties, but today demand for clowns is down. Fewer people are interested in becoming clowns. Membership in the biggest clown associations has fallen. Part of the problem is with the image of clowns projected in movies, cartoons, and books: instead of being fun, they're weird, or creepy, or downright menacing. Faced with that kind of portrayal, clowns are looking for ways to counter this decades-long narrative. Stacey and Cardiff speak to one of them. Music: "Big Top Parade", "The Nicest Dragon"